I haven’t done so officially yet, but i was just thinking the other day about writing a testimony about how i came to my conclusion about tithing. I guess what prompted this was when i had mentioned to someone that i used to tithe. They asked me what reasons did i switch my views on tithing and if it had anything to do with the abuse of money in the church. Typically people ask questions like that because they wanted to see if my tithing stand was born out of ill conceit. Most people think that if your opposition sprouted from rebellion then they think that your argument is not legitimate. I’m sure there are many people out there today that believe in Spirit-led giving because they questioned abuse in the church. I’m sure some of them are still rebellious and bitter about it. But let’s not throw out the truths that we find even though they are found in the doubting moments of the church. My tithing testimony doesn’t include a rebellious foundation. I grew up in a church that was very good with money. We had no debt, and we had great outreach. We didn’t have the bells and whistles, like coffee shops and stage lighting like most seeker sensitive churches, but we still had more than what we needed. I remember the church going into debt only once because the school needed classrooms. It was a facility that cost only 1 million dollars and was well worth the cost for the students of a complete high school and church to constantly use. So anyways back to my testimony, i got my first job at 16 at an ice cream shop. My very first paycheck i tithed on. I tithed from then all the way through the end of college. I didn’t question it. My parents had tithed all their lives and so i would as well. I really didn’t even know what verses that tithing was commanded from, but i tithed anyways. I am glad that i gave all that money, and there are no regrets there. The only thing i regret to tell you about my tithing testimony is that i was living by a law and i didn’t know why. It was automatic. There’s been some controversy today about ATM tithing and automated debits for your offering. People are afraid that since the money is not physically placed in an offering plate that we will be out of tune with the heart of giving. But with how tithing is automated today, what difference does it make if you blindly press a button on the internet, or you just blindly sign a check? If there is no spiritual interaction involved it doesn’t matter if you have automatic withdrawals or you place cold hard cash in a gold offering plate as it passes by. I mentioned that my parents had tithed all their lives, but let me just reassure you that God didn’t throw money out of the sky at our family. We probably just barely made it. I could honestly tell you that my parents probably had more credit cards than i actually get in offers in a year. They were extremely in debt! And managed to steal my credit and get me in debt as well, but that’s beside the point. The point i want to bring up is actually a question. Let’s say that my parents gave only 4% to the church, but were excellent in their finances and paid all their bills on time? How would God judge them? Of course they did the opposite, but what do you think God judges more severely – not tithing or getting in debt? Hmmm, good question, but that’s not how God judges our stewardship. You see God doesn’t have a checklist of requirements that we need to meet before we’ve become acceptable to him. Remember the steward that was left in charge of 2 talents while his master was gone? He buried the talents and when his master returned, he gave 100% of the talents back. A good steward is an investor, not a giver, not a bill payer, not a returner. This is essentially what i did with my money. I was a giver, not an investor. An investor is Spirit-led, but a giver follows directions from a dead law. So as i was saying about my tithing testimony in college. At the end of college i became involved in a fellowship that challenged and fed me. We did lots of ministry together. One day a friend confronted us about tithing. He said that tithing is not required of New Testament Christians. I immediately argued with him. Of course i didn’t agree. I couldn’t have been wrong all these years. After all, tithing is commanded in the bible, right? After that i began to search the scriptures to prove him wrong. The more and more i studied, the more and more, i couldn’t prove him wrong. It was the craziest thing! I kept going over and over scriptures. I kept questioning my reasoning. There’s just no way that this much of the church has been wrong for so long about tithing. Then it hit me. What was the number one thing that Jesus talked about in the bible? It wasn’t heaven, hell, hatred, the tongue, lying, or satan. It was money. Outside of the Holy Spirit and the Word, money is the most powerful and influential substance known to mankind. If there is anything that the church can be wrong about, it’s gotta be about money. 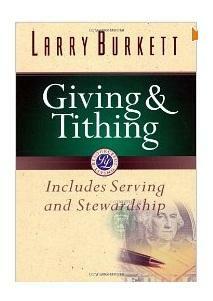 So i’ve been heavily studying and discussing tithing since 2005. I started a tithing website, started this blog, and started a tithing group in order to get the word out. Hopefully one day, i will write a book. I cannot tell you the amount of growing and learning that God has given me over the past years. I wish i could just take a portion of my heart, soul, and mind and let you see the truths that God has spoken to me about Spirit-led giving. My passion on this subject is what keeps me writing about it so much. If this truth was not so alive in me i wouldn’t be able to write as much as i do. Right now, i believe there are over 180 blog articles that have been written here since 2006. Each day there are about 245 unique visitors, 3280 hits, and 175 google searches. That is another thing that keeps me motivated about this site. I know people are searching for the truth. I am convinced to my grave that Spirit-led giving is what God intended for his Children under the New Covenant. Would i remain open to a new evidence that tithing is required for us, well, sure! I have listened to hundreds of sermons, and read dozens of books on tithing, so i’m not sure that much of anything new is out there to reveal, but an open mind is there, believe it or not. I hope my tithing testimony encourages some. Please share your testimony as well. It will encourage me and others. ‹ Why is Giving Down? 1. After becoming a Christian, I tithed for several years. Nothing changed. I stopped giving to the local church (this is where the tithe HAS to go, according to most tithe teachers) completely. Nothing changed. 2. No teacher will discuss this subject with me. That makes these “bold” teachers gutless cowards. 3. Recently, I heard a sermon from a family friend who is a senior pastor. He taught on Nehemiah. He omitted the verse that stated where the tithe had to go. He referred to verses, but didn’t quote them, and CHANGED THE WORDS OF GOD. Crops became wages. The secret is believing. The secret is believing God completely when he says he will open up the windows of heaven and POUR out blessings that you cannot contain when you tithe. If you believe fully this tithe promise of God when you tithe, you will be blessed beyond your wildest dreams for tithing. This is what I found out from my research. If you believe that God will bless you tremendously exactly like he said in Malachi 3 in the Bible, then you will be blessed beyond your wildest dreams for tithing as you believed. 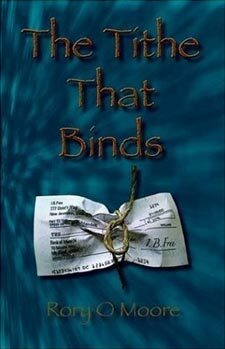 If you don’t believe that God will keep his word and bless you tremendously for tithing, even if you tithe out of obedience, you will not be blessed the tithe blessings. That is the secret. You have to believe in big blessings when you tithe just like God said. God rewards you for believing what he says in the Bible…and also he rewards you for believing exactly how much he will bless you for tithing. Believe God for big blessings and tithe from your gross. Support my ministry. Send donations to Lan Kwon, 2106 Cobble Creek Dr., Houston, Texas 77073 and make checks out to Lan Kwon. When you get extremely blessed for tithing by believing God completely for huge blessings even in your finances, consider sending me monthly donations. My ministry is not nonprofit. Be incredibly blessed and spread your testimony to all your loved ones. Reading alot of these comments and its made it abundantly clear that Tithing is a crucial part of the relationship with God. My summary of reading all this is this. Tithing is not about the amount or the tenth. The principle is simple who controls you God or money. God is not worried about the money He wants to see where our hearts lie. Giving to the Church or to strangers is irrelevant. Its the mere fact that you know that you can let go of the one thing you are afraid of money. I struggled with the concept until now after reading the comments. 1. God has ordained us to be Kings or Priests and the one cannot function without the other. How can Priests spread the Gospel without the Kings and how can the Kings bring to the store house without the Priests. Thank you all for your teachings and helping me realise that I have so wrong about the concept. God bless you all.